The Carl D Bradley continues to mystify even today. Did the ship rip into two pieces as reported by survivor Frank Mays? 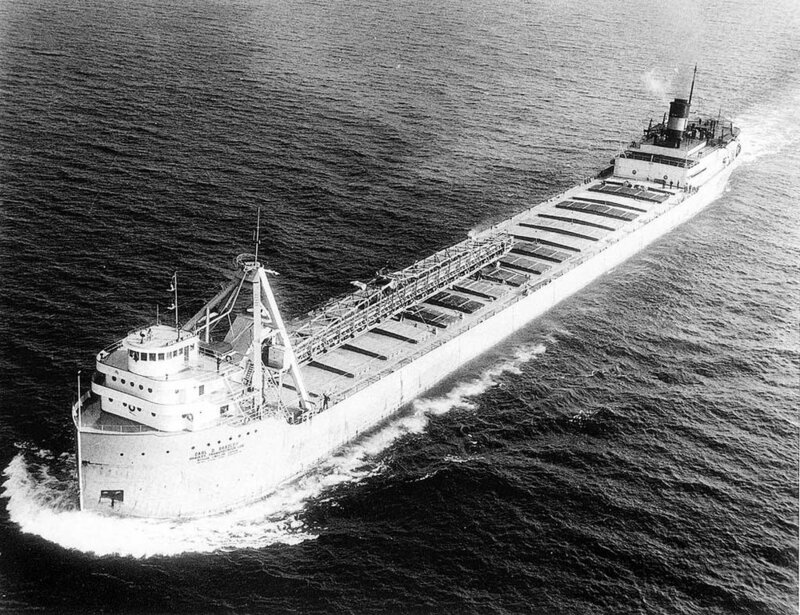 Two eyewitnesses survived to tell the story of how one of the largest ships ever to sail the Great Lakes broke amidships and vanished on November 18th, 1958. Even today there is controversy over whether the Bradley broke in two- how watchman Frank Mays described the sinking to investigators after spending 18 hours on a liferaft with First Mate Elmer Fleming. Frank returned to the shipwreck in the Delta submersible in 1995, but poor visibility prevented him from confirming the wreck was in two pieces. In 1997, newspapers were told he was vindicated by an underwater robot that recorded the ship in two separate pieces, '90 feet apart' from each other. Later sonar and diver reports proved this was not factual. Today the Bradley is frequently visited by mixed-gas divers in some 360 feet of water near Gull Island, Michigan.